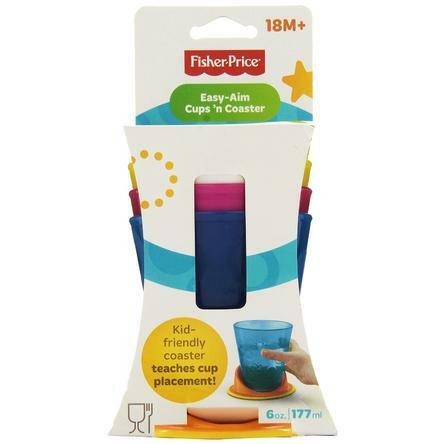 Fisher Price Table Time Cup n Coaster Just $4.80! Down From $14.99! You are here: Home / Great Deals / Fisher Price Table Time Cup n Coaster Just $4.80! Down From $14.99! Sears has this Fisher Price Table Time Cup n Coaster on sale for $4.80 (Reg. $14.99)! Table Time Cups n’ Coaster helps guide your child to use an adult cup. Coaster serves as a target for your child to place the cup on. Coaster is made out of soft grip material that help prevent it from slipping on the table. 4 pack of cups and 1 coaster. BPA free and dishwasher safe.